It looks like the lives of the Filipinos will become so easy this year as one of the world's most recognized food brands finally lands in the Philippines. I'm sure you've seen Nigella Lawson in several blogs and TV programs and she was here for the same reason. Have you heard of Contandina? It's a brand that's pretty well known in the US because that's where it started in World War 1. Three immigrant families found themselves in a situation where there was a shortage of tomatoes in America. That's when they found the soil in California apt for growing an even better harvest of these lovely fruits. They started making these products and thought of home. Now they have different sauces, canned tomatoes, rich olive oil and pasta, and a woman in the fields is representing them on the packaging. That's exactly what it means in Italian. 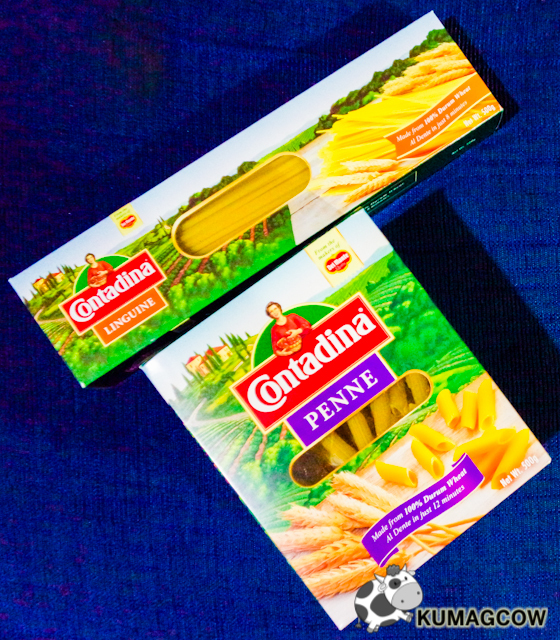 Trying Contadina for the first time had me thinking, why hasn't this been released in the Philippines when we're one of the most pasta loving people in the world? Even if we have our own sweet version, we have tons of people in the country who prefer the more conventional, herby and classic sauces right? Like me for example, I love Arrabbiata. The Contadina Arrabbiata Sauce is a little on the sour spicy side as it's got tomatoes, garlic and chili as it's main ingredients. 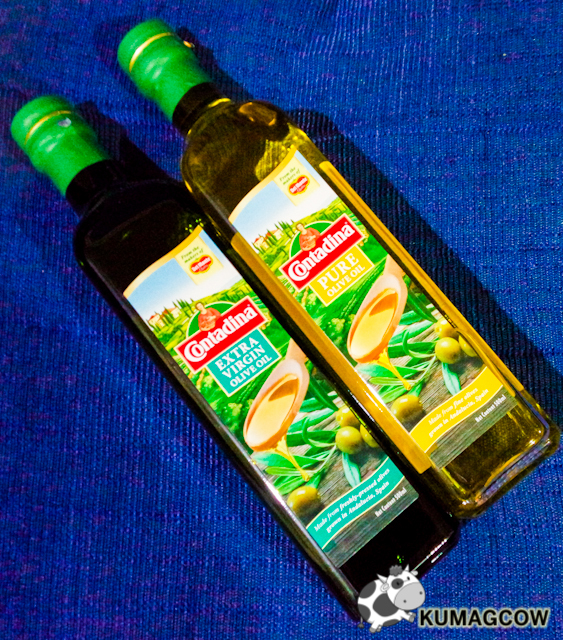 It's lovely on Penne pasta and only needs a little heat when making as it's ready to serve on these handy dandy bottles which Contadina comes in. Aside from that, they also have Napoleatana which is made from vegetables mixed in with the usual ingredients like the Trinity in Italian cooking (onions, carrots, celery). The Aglio Arrostito on the other hand is made from tomatoes and the wonderful roasted garlic. I can already imagine having a hot bowl of it looking at my bed side window while the rain pours. Perfect comfort food. I love antipastis and these olive oils would really make it special. They have Pure Olivr Oil which you can use to cook and the Extra Virgin Olive Oil for just dipping with bread or your salads, or just on top of slices of parma ham and prosciutto. I can go on and on and we'd still be hungry haha! I'm imagining things already! 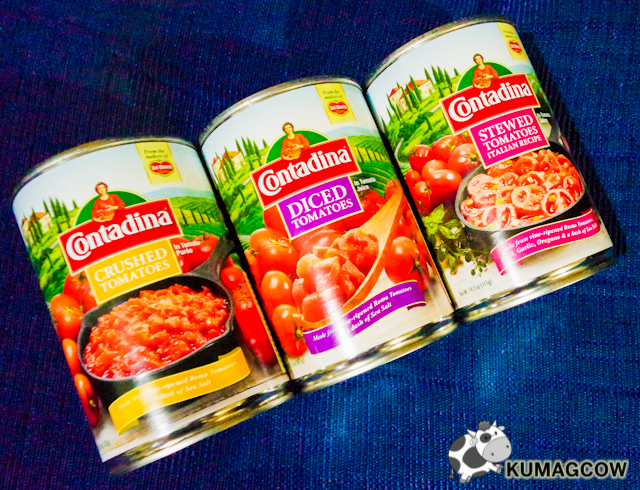 For those hearty stews, Contandina also have these canned tomatoes that'll be perfect for that. Imagine baking chicken topped with cheese and spending a few minutes on the stove, but we don't really have to wait for hours and waste precious time stewing because the sauce is already good to go. The Linguine and Penne pasta stayed firm and al dente as we cooked it at home. I overcooked the penne a bit actually but it didn't become mushy at all. The convenience, the flavors, all come easy in a bottle or a can, plus a very competitive price range if you compare it to the existing local ones. It's hearty, homey and definitely reminds you of the Italy and how it's made by the Italians. 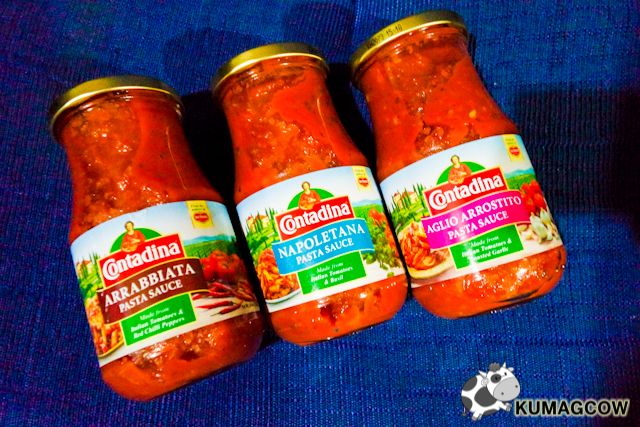 Are you excited about Contadina? ToMiho Stars in this week's "Ipaglaban Mo"
Are You Ready for NECRO Tourism? It's Time To Level Up Your Piattos Time! Vina Morales for "Vina at 30"
Shopee Holds 9.9 Sale Today! Star Music Launches "My Name Is Ylona Garcia"
CONTOURS Body Design Studio's LASERFIT Works!